You work hard during the day, let us get you home at night. Work is stressful enough without adding to it. No one wants to be on their way to a meeting and have to worry about traffic or parking. Our limo service is here to make sure that no matter what time you're going or coming from a meeting we can accommodate your every need. Once you're in the back of one of our cars, your job is to focus on the presentation for work that you have to get done, and let us worry about getting you to your destination safely, and in a timely matter. 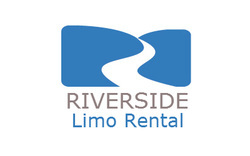 We understand that executives often need to catch flights out of town in a timely manner and we here at Riverside Limo Rental have special relationships with the airports to make sure that you are checked in swiftly and without hassle. You spend your time making sure your i's are dotted and your t's are crossed when it comes to contracts and business matters. So let us handle your transportation needs so you can worry about other business matters. We also help to entertain that important client you have coming in, so our services can help give you that professional look to close that big deal. There is no better way to impress a client and give you that extra edge in the negotiations than by having them ride with us. We are open 24 hours a day for your convenience, and we offer competitive rates and last minute reservations.